The Ciutat Flamenco festival is 25 years old, the same age as Enrique Morente when he made his first recording, and considering that the Granada singer was the first artist to sing in this event, perhaps it’s a sign that it’s a good moment to alter the path. The change began last year when the Mercat de les Flors was no longer the only venue, and continues to be modified in 2018 because the Ciutat has permanently left Barcelona’s temple of modern dance to reach nearly all the city’s neighborhoods. The opening for example will take place at the Sala Apolo on the Paralelo, with a popular local group, Aurora, that will inaugurate the program on the 17th with a show of flamenco and jazz whose live performances have been doing very well over the last year. 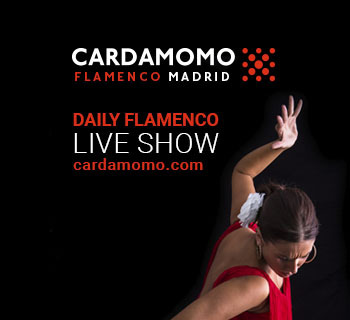 Perhaps in order to differentiate this edition from earlier ones, in which the Ciutat Flamenco opened with strong dance shows such as those of Rocío Molina and Israel Galván, this year it’s more based on music and flamenco singing. For example, from Huelva, two heavyweights: Argentina, who will interpret songs selected from her five records, and Arcángel, bringing his Nuevas Voces Búlgaras to the Sala Barts, the same stage where Enrique Morente was honored several months ago with a requiem organized by the Taller de Músics. Also programed are some well-known Barcelona artists: La Tana and Chicuelo, who’ll perform on the 20th at the Born Centre de Cultura i Memòria, adding another venue to a festival that began in Ciutat Vella, then set up in Poble Sec, and since last year has set out to take over the entire city. 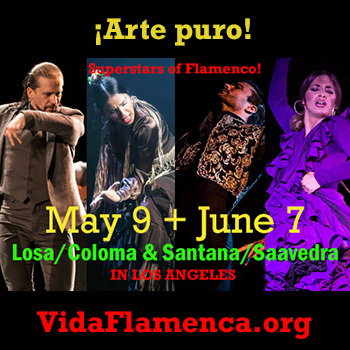 For the same reason, Ana Morales and José María Gallardo will present the festival’s only show specifically devoted to dance at the Sociedad Flamenca Barcelonesa El Dorado, a presentation that recreates music and settings from the second half of the nineteenth century. At the other extreme, Jorge Pardo, appears on the 22nd at the Sala Apolo with his “flamenco mixed with jazz and urban music”, as explained by Xavi Torres, the person in charge of production, who also stated that this was one of the most daring shows. In a similar line, the Ciutat will also receive Rycardo Moreno with aGaleano, the Lebrija guitarist’s reading of El Libro de los Abrazos of the Uruguay writer, accompanied by the voice of Jerez singer Lela Soto. The other daring and much awaited work brings Mariola Membrives with the Piccola Orquestra Gagarin at the Sala Hiroshime. The idea is to bring the voice of Membrives to the free meridional jazz of the musical group, and just let loose. As simple and difficult as that, but Gagarin’s talent is unquestionable as Membrives already demonstrated with her revised version of Omega that showed she is prepared to take on challenges such as this, or even greater. Enrike Solinís with the Euskal Barrokensemble is coming to the festival to show that flamenco is also a virtuoso artform. His concert will be held at the Auditori de Barcelona on May 26th, and is a version of “Amor Brujo” in which Solinís will attempt to take advantage of Manuel de Falla’s most flamenco facet. This is not to be missed because in addition to Solinís, a musician of uncommon talent, Pablo Martín Caminero is in the group opening up the dimensions of flamenco with his upright bass. The Ciutat will also have a space for the youngest fans, because in Barcelona they just keep on being born and growing, something the Taller de Músics has been responsible for to a large extent. This is why, on May 19th, the Palau de la Música Catalana, is presenting the show Flamenkat, and on the 21st, the Tablao de Músics, with a group of students of the Taller directed by David Leiva which will be a good way to show off the newest talent, destined to continue with the festival for the next 25 years.